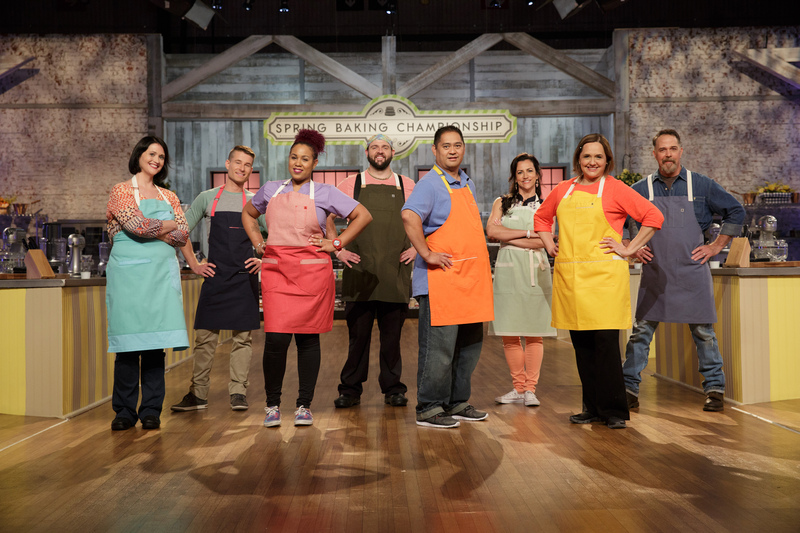 April brings much more than showers as Spring Baking Championship returns to Food Network on Sunday, April 10 at 9pm ET/PT with plenty of sweets, treats and baked goods raining down on this confectionery competition. 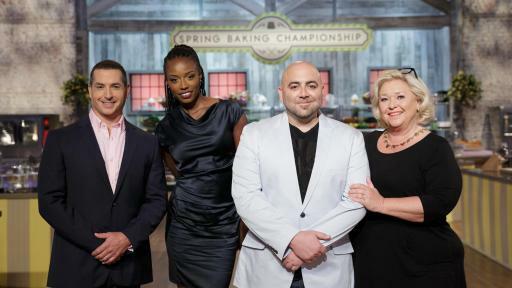 Bobby Deen is back to host the action as eight of the country’s best bakers compete to create the most impressive and delicious springtime treats, and vie for approval from tough love judges Nancy Fuller, Duff Goldman and Lorraine Pascale. 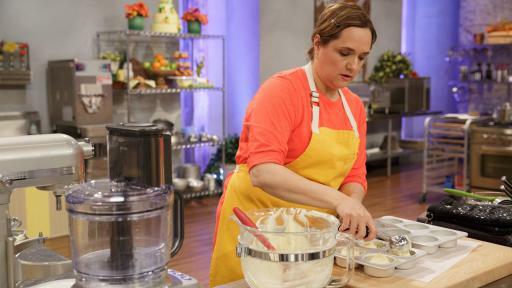 Only one baker will rise to the top and win the grand prize of $50,000 and the title of Spring Baking Champion. 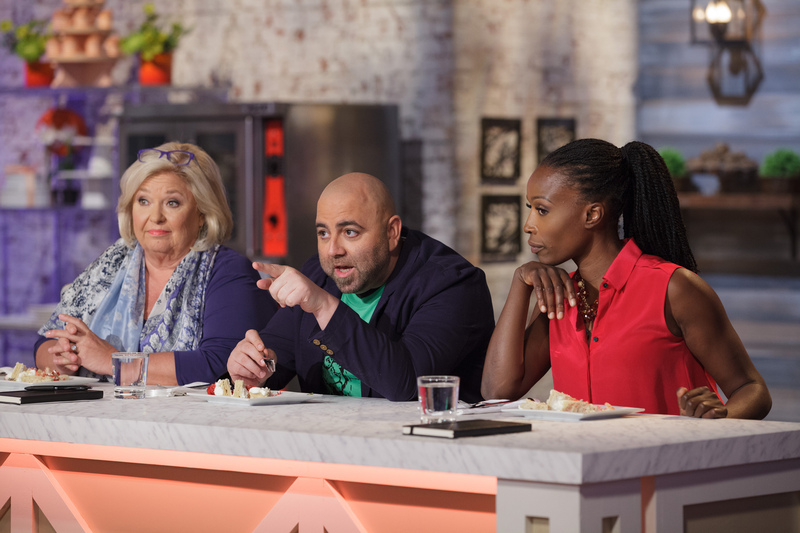 “The return of Spring Baking Championship is anything but cookie cutter. This competition is packed with flavor and fun, with the spectacular spring-themed confections as the ultimate sugar rush!” said Didi O’Hearn, Senior Vice President Programming, Food Network & Cooking Channel. Throughout the season, the competitors must tackle new challenges featuring classic spring themes and ingredients, while enduring surprising twists along the way. From cookies to brownies, and cakes to pies, the bakers’ creativity and abilities will be sifted and measured in each of the six hour-long episodes. 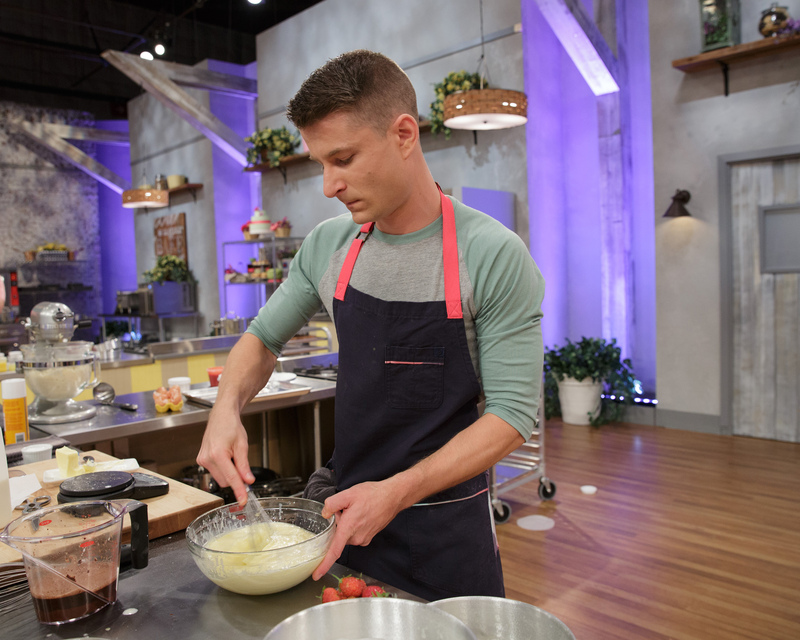 After the first round one baker will be granted a special advantage, but will it be the boost needed to succeed, or will it help them reach baking bliss? 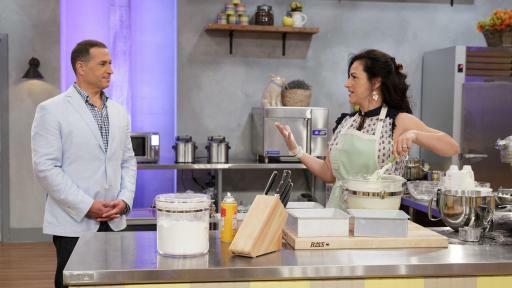 Don’t miss all the fresh-baked fun on the return of Spring Baking Championship. Spring means it is time to get fruity. For the pre-heat challenge, eight talented bakers undertake a shortcake makeover, but for a twist, they cannot use the classic springtime fruit - berries. Then the tables are turned in the main-heat, when they must create a naked cake with berries as the main fruit flavor. The contestant whose cake is not berry tasty will be sent home. The seven remaining bakers are taking you out to the ball game. For the pre-heat they bake sweet treats made from classic ballpark treats such as popcorn, nachos, and soft pretzels. For the main-heat, they attempt to make BBQ impostor desserts, where they look like BBQ but taste like dessert. Who will hit a home run and who will strike out of the competition? Spring showers bring May flowers… and rainbows! 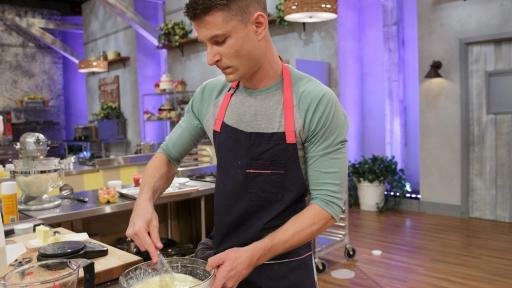 In the pre-heat, the bakers must whip up a delicious dessert dip to fill the pot of gold at the end of the rainbow. For the main-heat, they will be challenged to create a colorful rainbow-themed dessert in order to stay in the game. Unfortunately, it is not rainbows and sunshine for one contestant when they are eliminated. The five remaining bakers are tested in the pre-heat to transform farm-fresh vegetables into delectable desserts. In the main-heat, the bakers pay homage to a traditional farmhouse breakfast with bacon and egg- themed confections. Who will be scrambled by the competition and get sent home? The best way to show you care is with a homemade gift. In this pre-heat, the bakers must make stunning Mother’s Day gift desserts inspired by classic Mother’s Day gifts. Then, in the main-heat they take on the most classic Mother’s Day Gift of all – chocolate. One baker will melt in the competition and will be eliminated. 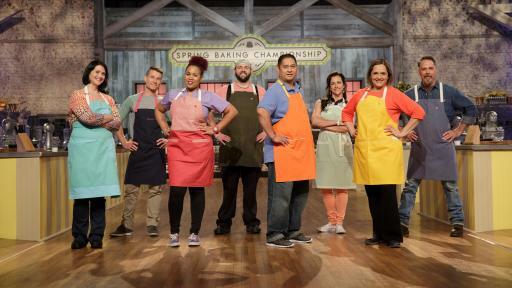 Wedding bells are ringing on the finale of Spring Baking Championship. For the pre-heat, the three remaining bakers must create an array of hospitable snacks for the welcome baskets for a destination wedding. Then, in the final main-heat, they must bake the best wedding cake inspired by popular wedding destinations Mexico, Hawaii, and Italy. 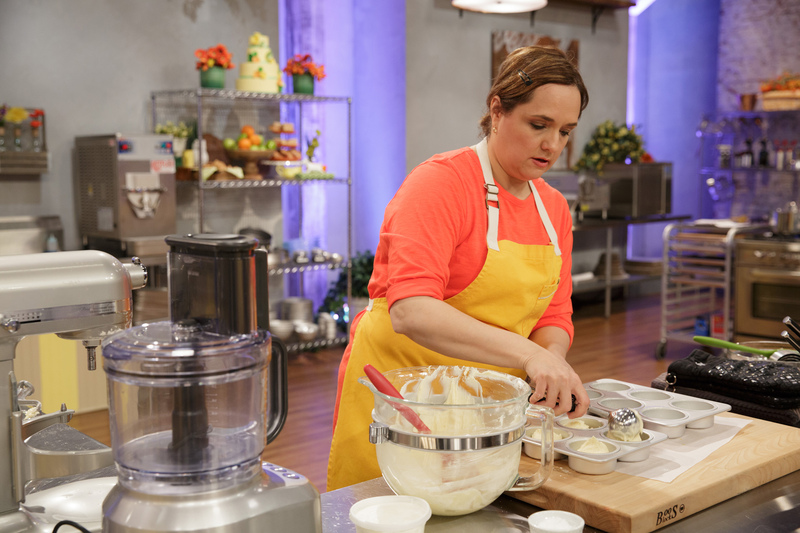 One baker will find sweet success and win the title of Spring Baking Champion and become $50,000 richer! 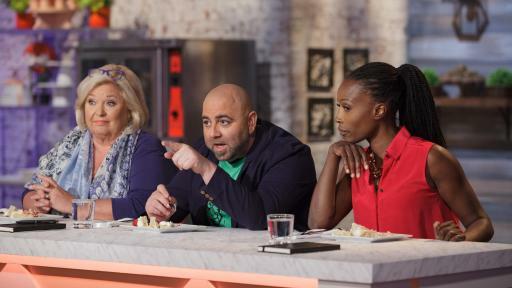 Fans can learn more about the bakers and relive the sweetest moments of the competition at FoodNetwork.com/BakingChampionship. 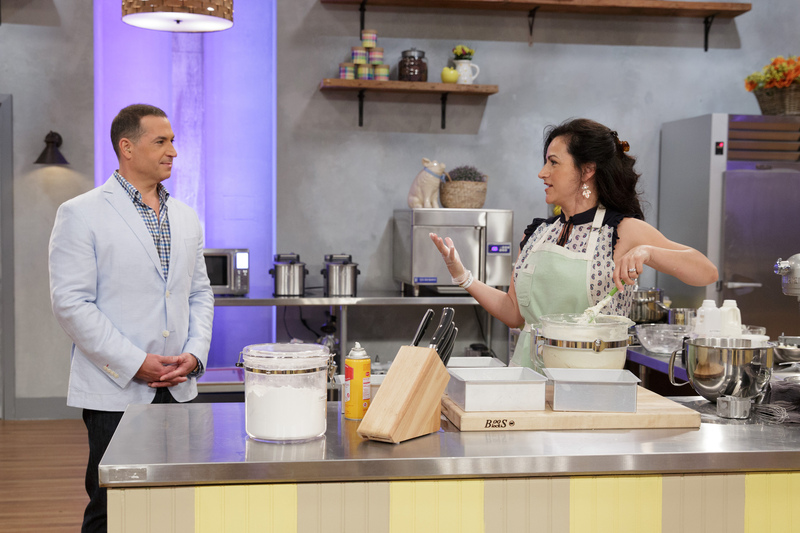 Those inspired to get in on the sugar high can find new spring baking tricks and how-to tips for the most delectable desserts, as well as join the baking banter on Twitter using #BakingChampionship. 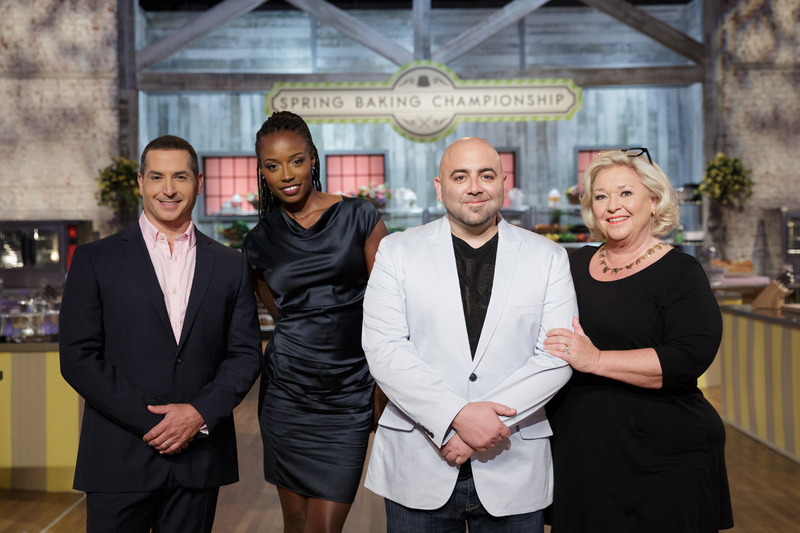 Spring Baking Championship is produced by Triage Entertainment, an LEG company. FOOD NETWORK (www.foodnetwork.com) is a unique lifestyle network, website and magazine that connects viewers to the power and joy of food. The network strives to be viewers' best friend in food and is committed to leading by teaching, inspiring, empowering and entertaining through its talent and expertise. Food Network is distributed to more than 100 million U.S. households and up to 35 million unique web users monthly. Since launching in 2009, Food Network Magazine's rate base has grown 13 times and is now the third largest monthly magazine on the newsstand, with over 12.4 million readers. Headquartered in New York, Food Network has a growing international presence with programming in more than 150 countries, including 24-hour networks in the United Kingdom, Asia, and the Europe, Middle East and Africa (EMEA) region. Scripps Networks Interactive (NYSE: SNI), which also owns and operates Cooking Channel (www.cookingchanneltv.com), HGTV (www.hgtv.com), DIY Network (www.diynetwork.com), Travel Channel (www.travelchannel.com) and Great American Country (www.gactv.com), is the manager and general partner.